Castleaverry is a rural townland in County Down. It must have the steepest gradient of any townland I have visited so far, sloping down from Scrabo townland towards the A21 road connecting Comber and Newtownards. At the top of the hill, Castleaverry reaches into the carpark for Scrabo Country Park. Below that, it’s all farmland. Moate Road is the spine of the townland. From Scrabo I took this shot of Moate Road winding its way through Castleaverry. The muddy water at the top of the photo is Strangford Lough (looks a million times better when the tide is in). 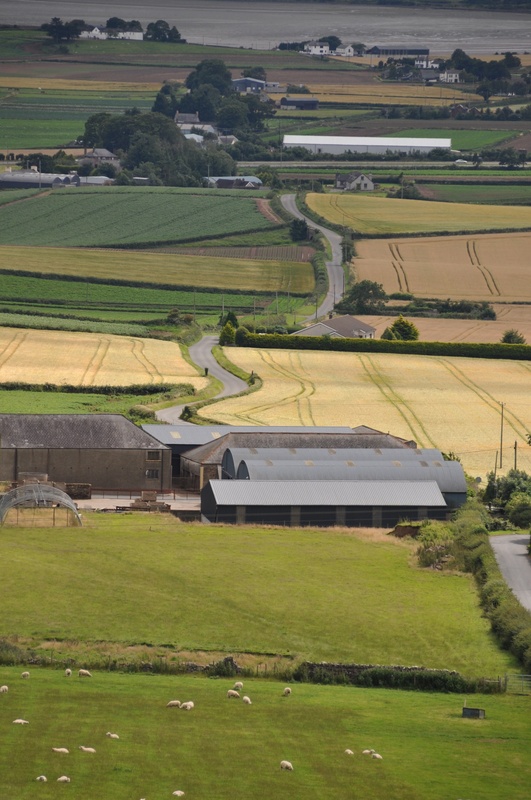 The top third of the photo (behind the long white building) shows the townlands of Ballyrickard and Longlands; the rest is Castleaverry. 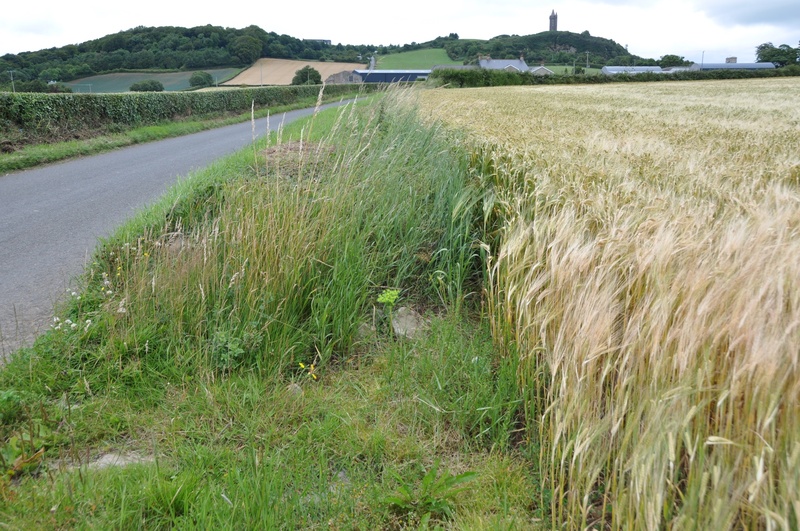 And here is a closer look at the crops ripening in Castleaverry in August 2015. 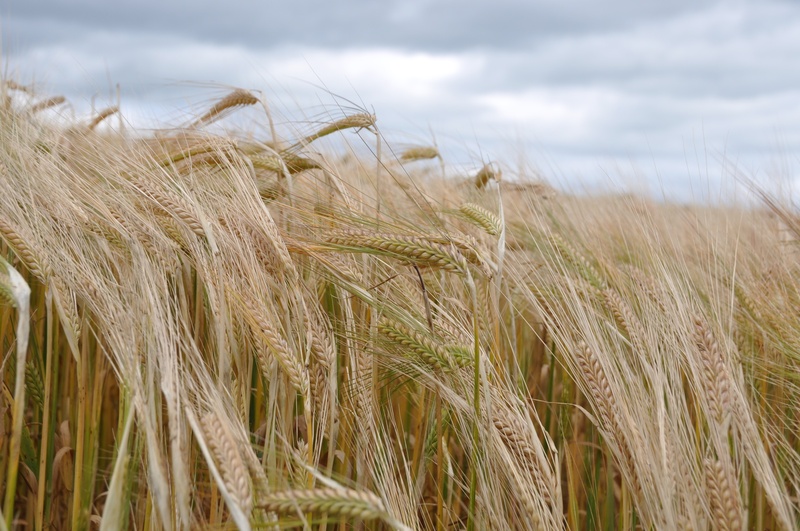 The wind from the lough is bending all the ears of barley (or are they wheat? I don’t know!). According to the PLACENAMESNI website, the name Castleaverry comes from the Irish Caisleán Éibhire meaning “Éibhir’s castle or stone ring-fort.” It would make perfect sense to build a fort here, with panoramic views across County Down. Unfortunately, PLACENAMESNI also state that no traces of a castle or fort remain. So the closest I can offer you is this stone gatepost. 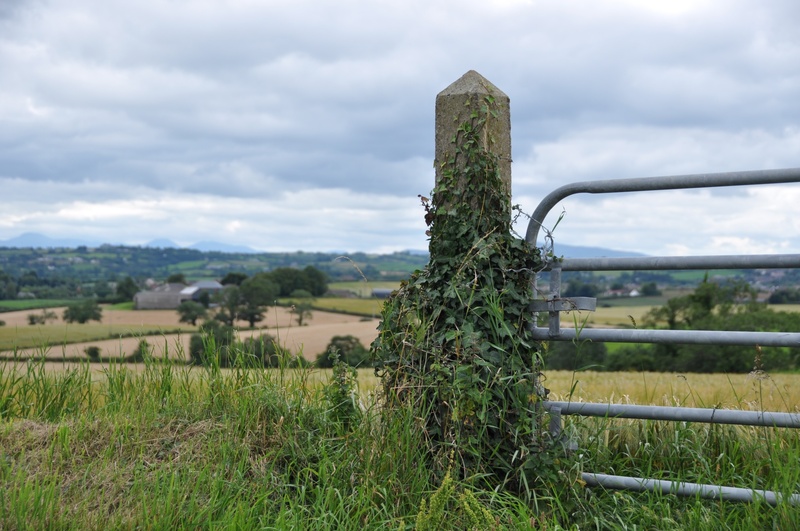 Which townlands border Castleaverry? At the top of the hill, Scrabo and Killynether;. Towards Comber, Ballyrickard. Towards Newtownards, Corporation South. 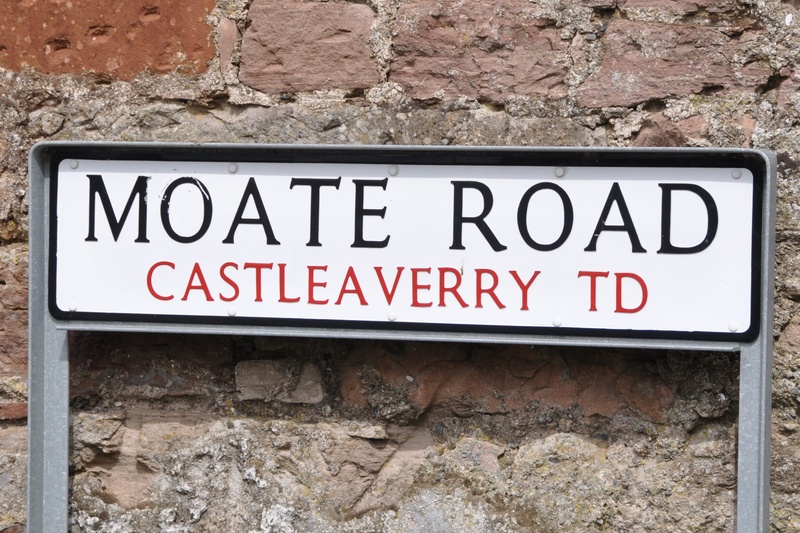 And finally, click here to see a map of Castleaverry and to read about the townland’s name on my usual source – PLACENAMESNI.ORG. Your cousins live in a lovely place – with or without fairies!